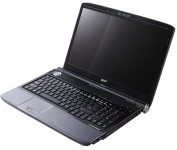 Aspire 6000 notebooks by Acer were the best desktop-replacement value models when they first came out. Value-priced while delivering top-end components, these notebooks are a popular choice amongst many. The built-in power management unit allows for maximum power conservation and maximum performance at the same time. A simple upgrade can maximize the benefits of your notebook.